Indiana University is again a proud sponsor of the Indiana Latino Expo, an experience that provides students throughout the Hoosier state with valuable information about higher education and community services. IU will participate in the sixth annual event by hosting 21st Century Scholars Day on Saturday, Oct. 14, at the Indiana State Fairgrounds in Indianapolis. IU's 21st Century Scholars Day programming, which will take place at the Elements Financial Blue Ribbon Pavilion, offers eligible, in-state residents the opportunity to learn more about, sign up for or confirm their status for Indiana's four-year, full-tuition scholarship. In addition, all qualified high school students will be able to complete their ninth- through 12th-grade student success requirements for the 21st Century Scholars Program at the IU booth. "I take great pride in our partnership with the Indiana Latino Expo, which shares Indiana University's commitment to ensuring access to a quality college education for all students in the state, regardless of their background," said James Wimbush, IU vice president for diversity, equity and multicultural affairs, dean of The University Graduate School and Johnson Professor for Diversity and Leadership. The Indiana Latino Expo is free of charge for visitors and offers platforms to improve the quality of life for Indiana's Latino community, including economic development, cultural advancement and educational opportunities. Representatives from each of IU's campuses will be available at the event to discuss academics and student life, and visitors to the IU booth can also take part in activities such as trying the latest in virtual reality technology, taking a photo in the IU photo booth and receiving a free sample of PopKorn Twist popcorn. 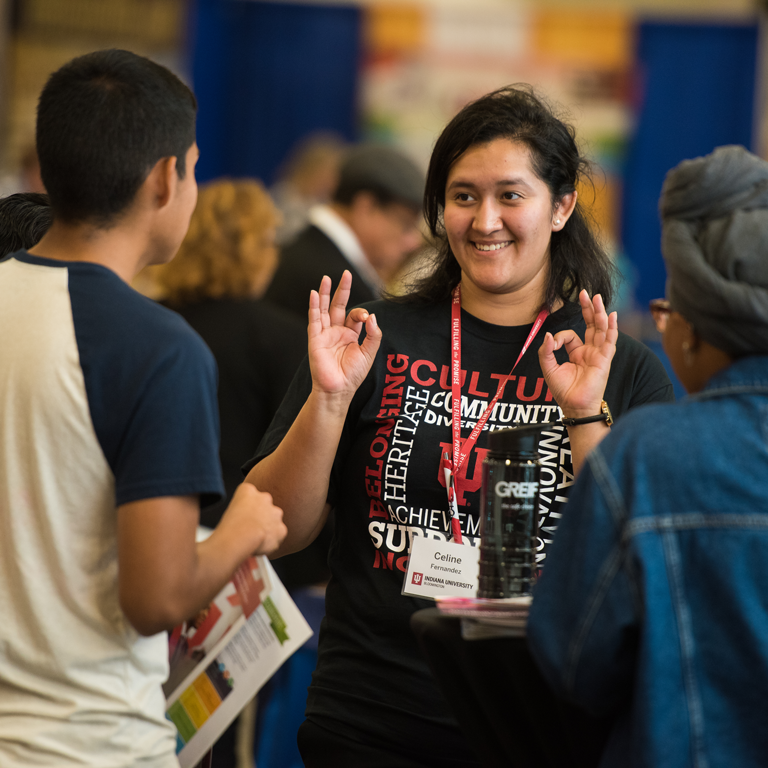 Further information about IU's involvement in the Indiana Latino Expo, including details of the 21st Century Scholars Program's student success requirements, is available at diversity.iu.edu.